Over the years, numerous theories from the world of physics and astrophysics have informed the popular perception that black holes function to engulf the luckless particles that venture too close to them, out in space. Some of these theories suggest that this matter will never re-emerge from the dark body, and they have effectively been sucked out of existence. Other hypotheses, however, indicate that certain particles may contribute to the ‘jets’ that black holes appear to spew out from time to time. These jets deliver huge bursts of radiation such as X-rays. 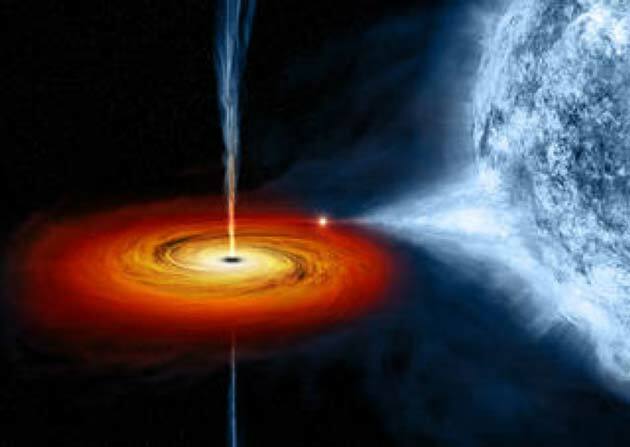 V404 Cygni: The Rockstar of Black Holes! It was once thought that the jets delivered X-rays of energy, equivalent to tens of thousands of electron-volts. However, more precise findings from the observation of an actual jet event have rendered that estimate somewhat more conservative. This jet was emitted by the black hole, V404 Cygni, which exhibited that they were observable by Earth instruments in 2015. Now, the same cosmic feature is back with another show! This time, the black hole evinced signs that it was going to ‘feed’ or draw matter around itself into its center. The hint gave scientists at the NASA Stratospheric Observatory For Infrared Astronomy (SOFIA) a chance to arrange the viewing of this event. This was done with SOFIA’s High-resolution Airborne Wideband Camera-plus (HAWC+). It was well-positioned to gather vital, accurate data on what actually happens when a black hole engulfed something, and, furthermore, how it did so. It was conducted because V404’s galaxy, Cygnus, is a relatively ‘loud’ or ‘active’ galaxy in terms of ultraviolet (UV) to infrared emissions. Therefore, it is particularly easy for human instruments to pick up activity within it. 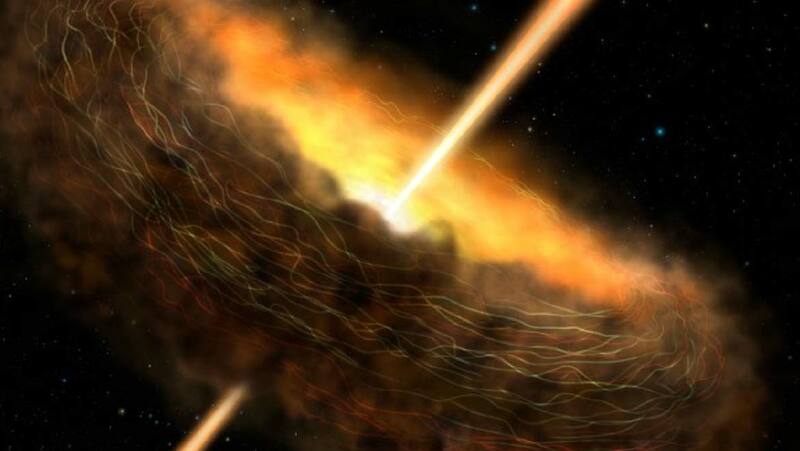 For some time, the prevailing theory was that the coronal magnetic field was a significant factor in the ability of black holes to 'eat' matter. The corona is the ‘core’ of a black hole and the part of it that relates most closely to a star in many respects. One of them is the magnetic field associated with the corona. Based on prior studies, it was thought that it was strong enough to draw matter into it, or to power the mechanism behind the pull of a black hole. However, newer data showed that this magnetic field was considerably weaker than previously thought. 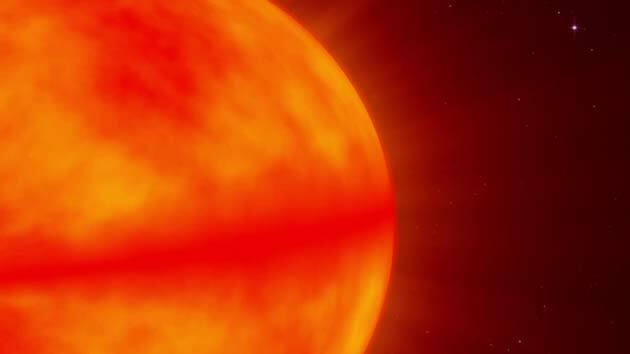 The latest and most sophisticated measurements put the coronal magnetic field of V404 Cygni at about 461 Gauss. This is impressive, especially by human standards, but is also thousands of times weaker than advanced models predict would be necessary to support engulfment. This area of the black hole is called the torus, one that surrounds the corona, containing dust and debris from the black hole’s galaxy. Some astrophysical data suggest that extremely strong magnetic fields also apply to the torus. They may act on it to support its structure and keep its colossal ring of dust in place. Therefore, the magnetic field of the torus may trap the matter to be engulfed close enough to the corona. The theory is helped by the concept of the accretion disc, in which this material is projected to become trapped prior to entering the black hole. The torus ‘lines’ this disc; there is a nice hierarchy of structure and function in the human understanding of black holes that would be further boosted by a more concrete association between a torus field and ‘feeding’ events. The SOFIA team’s latest publication suggests that they have confirmed the presence of one piece of this puzzle through their observations of V404 Cygni at 'meal' time. Their data showed a differential polarization of UV, infrared and near-infrared emissions at wavelengths of up to 89 nm, and also of far-infrared emissions. These findings are consistent with other observations of black hole tori, and that the emissions are being scattered off the dust in the torus of V404 Cygni. The observations are also a good indication of a large and dust-strewn magnetic field in the corresponding area. This is one of the best pieces of evidence - the torus or its magnetic field was related to the accretion closer to the heart of the V404 Cygni. It may support theories that the material, on which a black hole feeds, is drawn towards this core until it can be expelled in a jet of high-energy X-rays. Therefore, this paper, which was published in Astrophysical Journal Letters, makes our stories about the intriguing entities of black holes more valid than ever.